← It’s shunting, Jim, but not as we know it…. 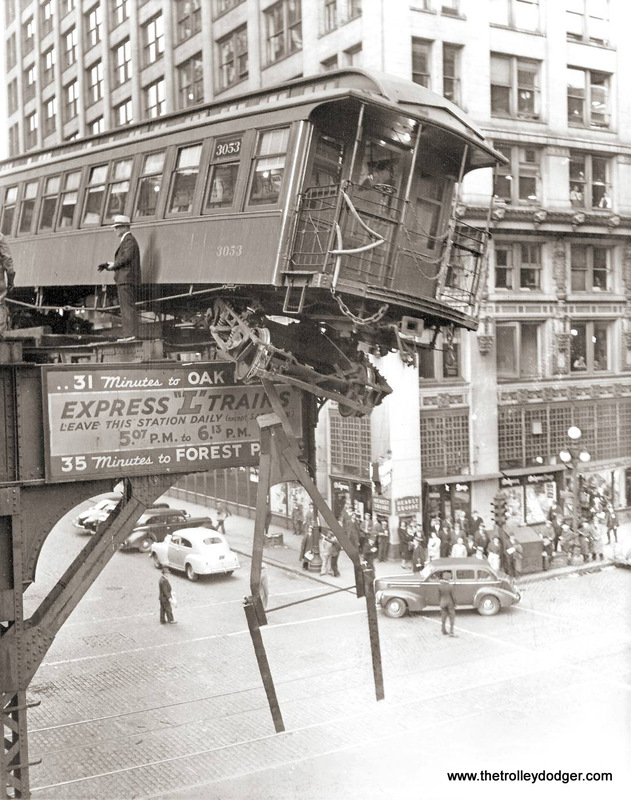 No inspiration today – my brain resembles this incident on the Chicago elevated – or perhaps it is just an ESNG running night? Nice bit of Health and Safety, though, especially the hard hat…. This entry was posted in Inspiration, Out and about, Prototype, Weird and wonderful and tagged humour, prototype, traction. Bookmark the permalink.